Artscape Gibraltar Point invites you to join us on Saturday, April 13, for our final Winter Island event of 2019. Addae Nurse, our April Artist-In-Residence will present a talk on his practice and the work he completed during his stay at Artscape Gibraltar Point. Snacks and refreshments will be on hand. Transportation for those who are mobility limited is available upon request from the Hanlan’s Point Dock. Please DM to make arrangements. 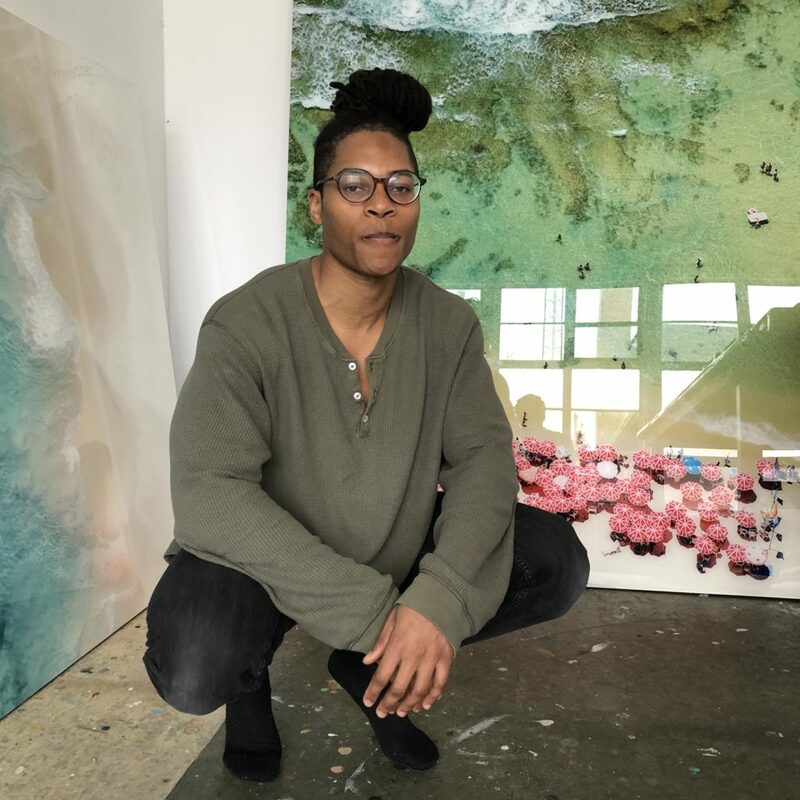 Addae Nurse is a Toronto-based artist whose work often involves the investigation of class and the re-contextualization of race through appropriated imagery. Addae’s body of work explores the nexus between femininity, sexuality, expression, and anonymity. Fascinated by shadow and movement, his images are intimate and often temperamental, juxtaposing the vastness of space with the details of the human form. Now in its fourth year, Winter Island is a unique, juried, artist-in-residence program aimed at emerging, established and, mid career artists, working in community engaged practice and hosted at Artscape Gibraltar Point, an artist residency located on the picturesque Toronto Islands. The aim of the Winter Islands program is to recognize three – five artists annually who have demonstrated a strong and unique artistic voice while working in Canada’s visual arts community and provide them with a month of distraction-free studio time to create and/or develop a new and exciting community-engaged work, or body of work, that seeks to collaborate with and/or activate the artist community at Artscape Gibraltar Point and the Toronto Islands. Selected artists will present these works/projects to the public, both during their residency and as a part of a Winter Islands Group Exhibition to take place at the conclusion of the residency series at Artscape Youngplace in late May/Early June 2019. Located in the former Toronto Island Public and Natural Science School, Artscape Gibraltar Point offers 35,000 square feet of affordable retreat space, artist studios and accommodations for artists and creative thinkers. The tranquil, idyllic setting is world-renowned as a centre for members of the artistic and non-profit communities to think, experiment, collaborate and share ideas. More than 700 artists a year from across the globe experiment and create art through self-directed artist retreats and thematic residencies hosted in our overnight accommodations. In addition to hosting a maximum of 20 visiting artists at any given time, fifteen long-term artist work studios provide space for a range of painters, sculptors, musicians, filmmakers and a recording studio – all of whom contribute to the unique and collaborative atmosphere at Artscape Gibraltar Point. Artscape is a not-for-profit urban development organization that makes space for creativity and transforms communities. Artscape is the operator of Artscape Gibraltar Point. Our work involves clustering creative people together in real estate projects that serve the needs of the arts and cultural community and advance multiple public policy objectives, private development interests, community and neighbourhood aspirations and philanthropic missions.